Wedding ceremony: St. Columba’s Church, Longtower. Derry. 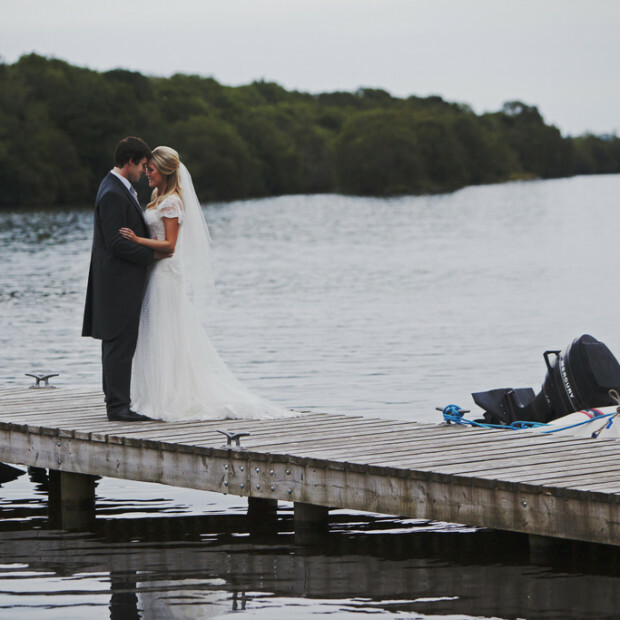 | Wedding location: Lusty Beg Island, Fermanagh. We met… when we 17 and still at school. Our proposal… We were living in Boston at the time and it was coming up to our 10th anniversary. We took a trip to New York for the weekend and Peter had a surprise engagement planned. He had called my dad a few weeks beforehand, had the ring picked out and booked a stay in The London Hotel New York. We were staying in a suite overlooking Central Park and that night he got down on one knee and proposed. We celebrated by visiting the Empire State building, taking in the sights of New York by night. It was the greatest surprise and of course, I said yes! My dress… I wore a Sassi Holford dress bought from Adele in Amore Bridal, Limavady. Our wedding theme/colours… The theme for the wedding was simplicity with vintage inspiration. The bridesmaids dresses were slate grey and we carried this through to some e of the details for the day (eg. the cake was baked and decorated by my grandmother which was very special token for myself and Peter). Our ceremony… was conducted by Fr. Gerard Mongan at St. Columba’s Church, Longtower, Derry- arguably the most beautiful chapel in Derry! We chose our photographer because… we had seen his work previously at Peter’s sister’s wedding the year before. Mustafa has a great way of tying the day together and never misses a shot. He has great energy and adds an extra element of fun to the day. Not to mention the finished product- we have the most beautiful wedding album anyone could ask for. The time he gives, his creative flair and attention to detail is superb. 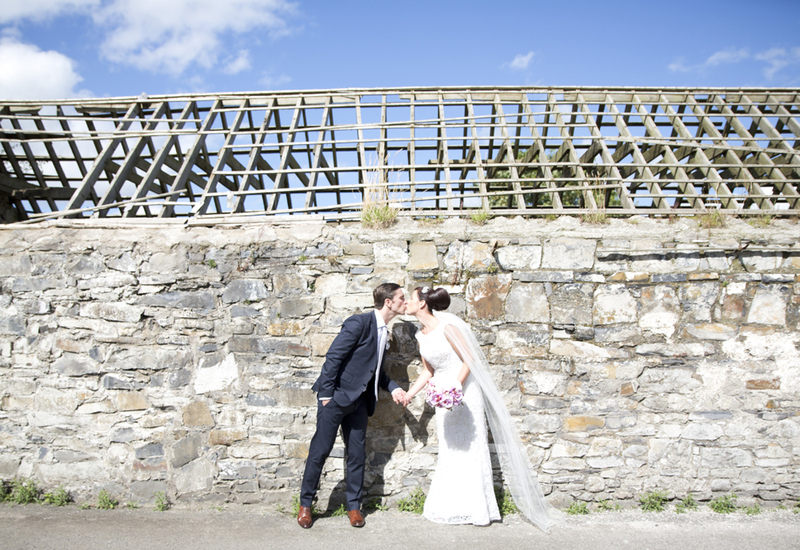 We chose our venue because… we loved the outdoor space and the scenery. Having our wedding in July we thought there would be a chance the weather might be good and it would be great for us and our guests to be able to relax and take in the beautiful view of the lakes surrounding Lusty Beg Island. When you go on to the Island you feel like you have stepped away from the hustle and bustle of everyday life and you really feel like you are ‘away’ somewhere special. The service and food are excellent also! My favourite part of the wedding day... was sitting at the top table at our reception and looking around at all of our wonderful family and friends who had come from near and far to celebrate with us. It was a great feeling! Our honeymoon… was spent travelling around California. We started in San Francisco and ended in Los Angeles with many amazing places in between. We had a great time! My piece of advice for other brides… all the ‘little jobs’ that you think won’t take up much of your time do! Plan ahead, ask for help and give yourself plenty of time. Wear did the bride get her veil love it.